Celiac disease has been associated with an increased risk of cardiovascular disease, but the evidence base is limited. 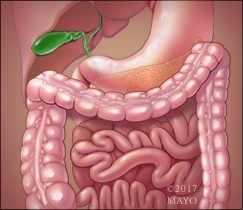 Dr. Rekha Mankad, M.D., discusses the potential link, based on two recent studies, published in Digestive and Liver Disease, and Nutrition, Metabolism and Cardiovascular Diseases. People with celiac disease have chronic inflammation in their gut because they can’t tolerate gluten; and since inflammation has been linked to heart disease, it is biologically plausible that celiac disease could be associated with the risk of heart disease, specifically atherosclerosis. However, further studies are needed to confirm this association, and to examine how the severity of celiac disease may play a role. Dr. Rekha Mankad is a cardiologist at Mayo Clinic.